Dentists call for dental crowns for different reasons. They can fix broken teeth as well as strengthen teeth. Crowns can also hold a dental bridge in place or cover up a tooth to prevent infection. If your dentist recommends a dental crown procedure, these are a few things you need to know. These crowns can be made at your dentist’s office. They provide temporary coverage for your tooth while a permanent crown is being made at a laboratory. They are usually made of stainless steel or an acrylic-based material. 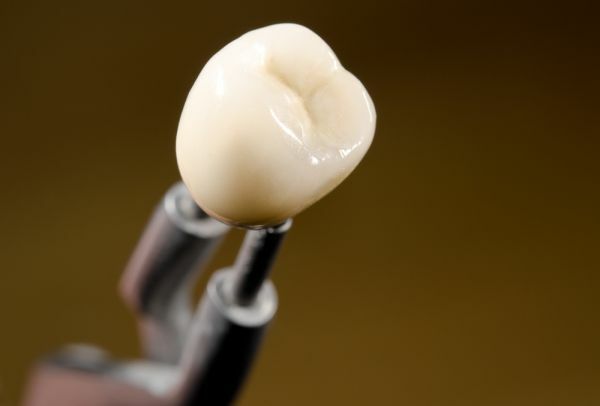 These are the most durable dental crowns and rarely chip or break. They contain metal alloys with a high content of gold or platinum and are mostly used on molars because of their metallic color. Dentists commonly use these crowns because they blend in better with natural teeth. They are also an alternative for people who are allergic to metal. Resin crowns are the least expensive type. That said, they wear down faster than the other crowns and are prone to fracturing. These can be color-matched to your other teeth, but these crowns create more wear to opposing teeth than resin or metal crowns. The porcelain part can also break off. You can use a porcelain-fused-to-metal crown on both front and back teeth. A dental crown procedure requires two visits to the dentist. The first is to examine and prepare the tooth. Your dentist will take X-rays of the tooth to check root health. If there is decay or injury to the pulp, they will likely recommend a root canal. Before your dentist makes the crown, they will numb the tooth and the tissue around it. Next, the dentist will file the tooth to make room for the crown. The size of the crown depends on the amount of the tooth that is damaged or decayed. Your dentist will then make an impression of the tooth using a paste and a digital scanner. They will also make an impression of the teeth above and below the affected tooth to make sure your bite is not affected by the crown. The impression will then be sent off to a dental laboratory for production. Since it can take up to two weeks before your dentist receives the crown, they will fit you with a temporary crown. Your dentist will remove the temporary crown and replace it with the permanent crown. First, the dentist will check to make sure it fits and the color matches your other teeth. If everything is fine, they will numb your tooth and attach the new crown. Once your permanent crown has been fitted, your dentist will recommend that you avoid chewing on the tooth for a short while. They may also say to stay away from sticky foods that can damage your crown. If you tend to grind your teeth, your dentist will likely recommend you sleep using a mouth guard to prevent wearing down the crown. Dental crowns are very useful because they protect damaged teeth and save you from pain. Now that you know what to expect, you should look forward to beginning the process of getting a new smile.